Imagine yourself or your own child living life on the streets. You have no home, no family and nothing to call your own but the raggedy clothes on your back. Everyone crosses the street when they pass by you. People don’t make eye contact with you. You start to wonder if anyone cares about you at all. 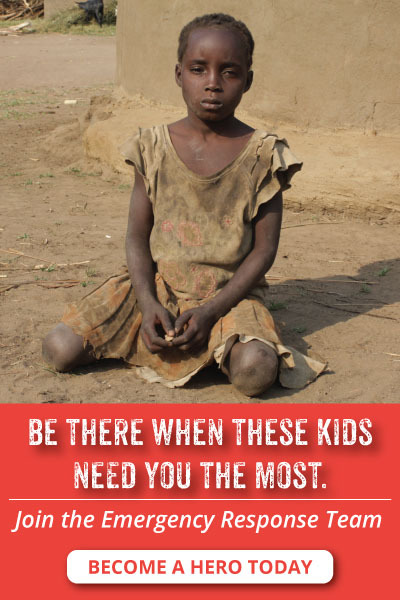 Today, we need your help to rescue an orphan. Four new Kinships are opening their doors in Kenya, and they have enough room to welcome in nearly 100 children, but they have nothing to give each scared child once she arrives. Have you ever wondered how an orphan feels when they show up at a new home? A little bit of relief combines with paralyzing fear, and self-conscious doesn’t even begin to cover it. Kinship United has seen this a lot. 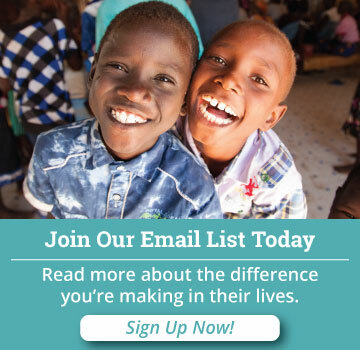 We’ve found families for tens of thousands of refugee orphans all over the world. We know that this new home doesn’t feel like home if you have nothing but the stinky clothes on your back. Will you give a child a new set of clothes and some soap to clean up? You can make him feel like a new person, like he is home. Would you be willing to give $52 so a child can feel at home with an Orphan Rescue Pack? An Orphan Rescue Pack can be your welcome gift to a new child entering a Kinship Home. The Orphan Rescue Pack comes with things like soap, a toothbrush, and toothpaste so they can freshen up. New clothes so they can feel good about themselves. And sheets and a blanket to keep them comfy in their new bed at night. Most importantly, it comes with a Bible and a journal! With these precious gifts, you will encourage a child’s heart and show them they are loved by God and by His children. An Orphan Rescue Pack isn’t just a bag full of personal items, it’s the start of a child’s new life! It’s a way for them to begin again! Will you give a child a fresh start today by giving them an Orphan Rescue Pack for only $52? Thank you for caring about children around the world, and especially children who are going through a tough transition. Because of encouragement from caregivers, pastors, and people like you, these children can heal from their pasts and grow into their futures! Elizabeth’s office is on the road. Whether she is rushing a stranded orphan to the hospital, or making a day’s journey to encourage caregivers in a remote Kinship, she is constantly riding her motorbike along the roads of Kenya. And it’s risky. Everyone deserves basic safety, especially Elizabeth as she has dedicated her life to serving orphans and widows. She just wants to make it home safe and sound to her family, and she needs a small emergency vehicle. Would you contribute $50 towards an emergency vehicle? Elizabeth struggles to balance a sick child in her arms. May is the rainy season, and Elizabeth will be flooded with emergency calls from village leaders to rescue vulnerable kids from the freezing cold hills of Kitale and the dumps. Malaria season will hit, and the roads will get slippery. Elizabeth has already fallen off her motorbike a few times, and she needs you so it doesn’t happen again. In her latest fall, Elizabeth bruised her tail bone and twisted her arm trying to protect the child she was holding on her lap. She was bringing the child to the Kinship Medical Clinic. Elizabeth needs you to protect her. 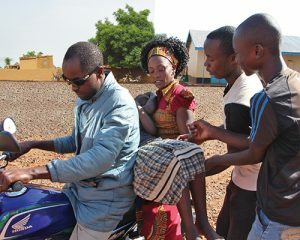 The back of a motorbike with a child in her arms is no place for this noble woman who’s trying to save the lives of orphan children. An emergency vehicle costs $10,000. Could you give $100? Or maybe you could give $1,000? You can even sponsor a tank of gas for $50. These children need Elizabeth, and Elizabeth needs YOU today. Don’t let her take one more motorbike journey with sick children in her arms. You know when you’re so hungry you start to feel a little…hangry? 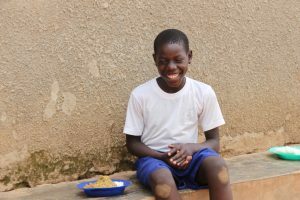 This smiling boy, named Michael, of the Buloba Kinship in Uganda, feels that way every time he gets home from school and lunch isn’t ready yet. Michael can't hide his smile during lunch time. One day during midterms, his caregiver Edissa worked extra hard to make sure the children had lunch on time. “As a mother, I mind so much about the kids having lunch in time… I wouldn’t want them to do their afternoon exams angry and grumbling…” said Edissa. When Michael saw his steaming plate piled high with food as he walked up from school, he was thrilled! And so was Edissa. Thank you for helping Edissa and Michael, and for giving them both a home and a family! p.s. All of our Kinships across East Africa need kitchens and outdoor eating areas – they cost about $1,500 each. Could you help?